We love working with the team at Adventure Playground! 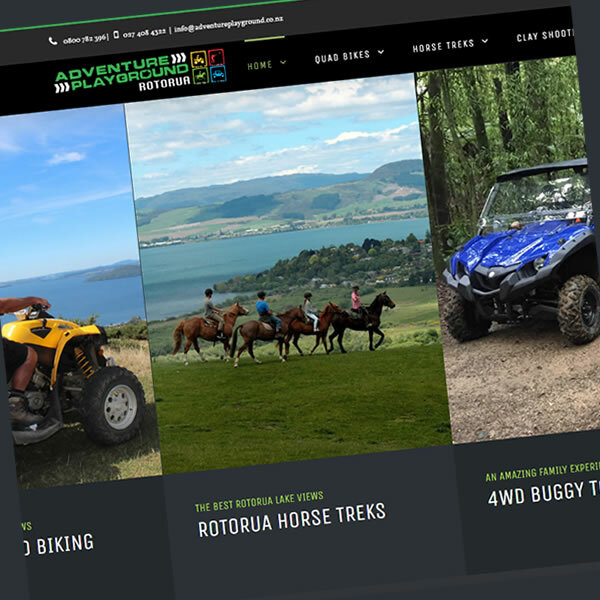 As one of the North Island’s top outdoor activities provider (with an amazing TripAdvisor feedback) they always have something exciting going on. It was a real pleasure to once again work with Steve & Linda to refresh their main activities and booking website. A fresh new look, a ton of SEO work and content writing, some amazing photos and rich video content all combined to produce a high impact website, which quickly allows guests to browse available activities package, make an informed selection with a streamlined booking process. It seems to be working! Conversions are up and the Adventure Playground team are busier than ever! Visit the Adventure Playground website or have a look at our portfolio for an overview of how we worked our Robotastic magic on this cool little site.